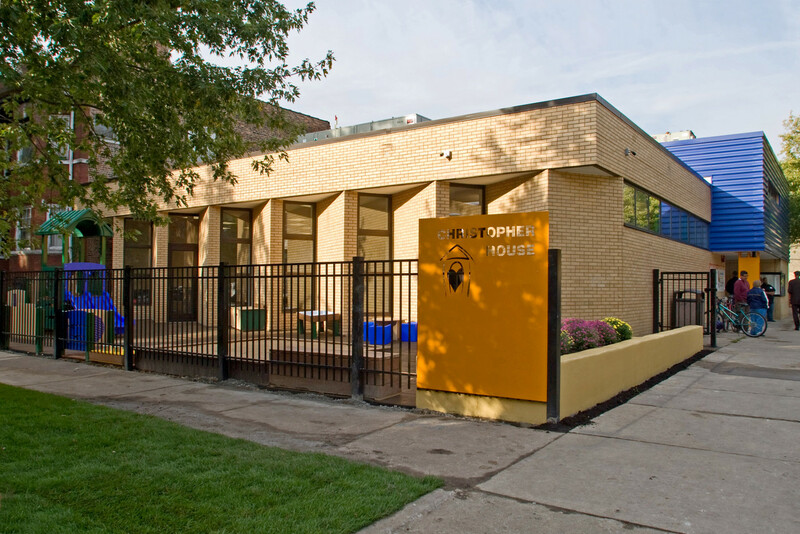 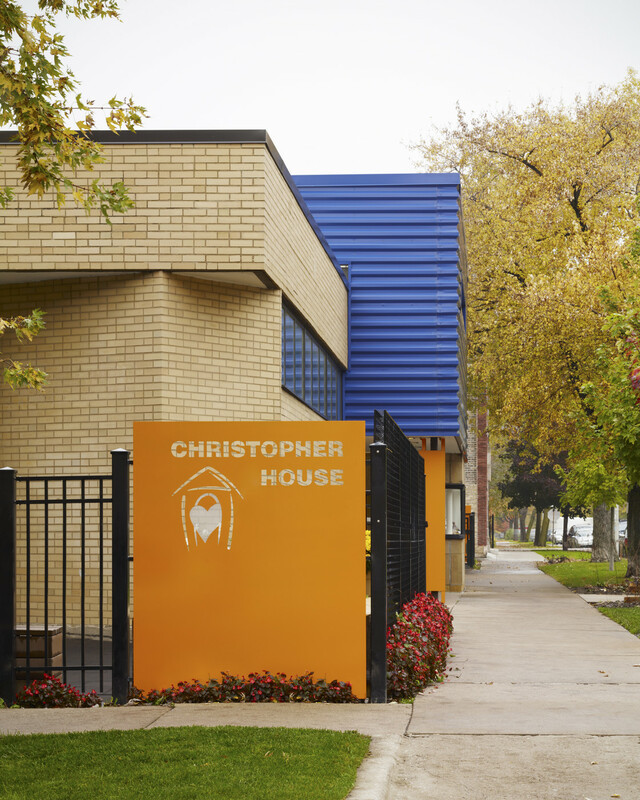 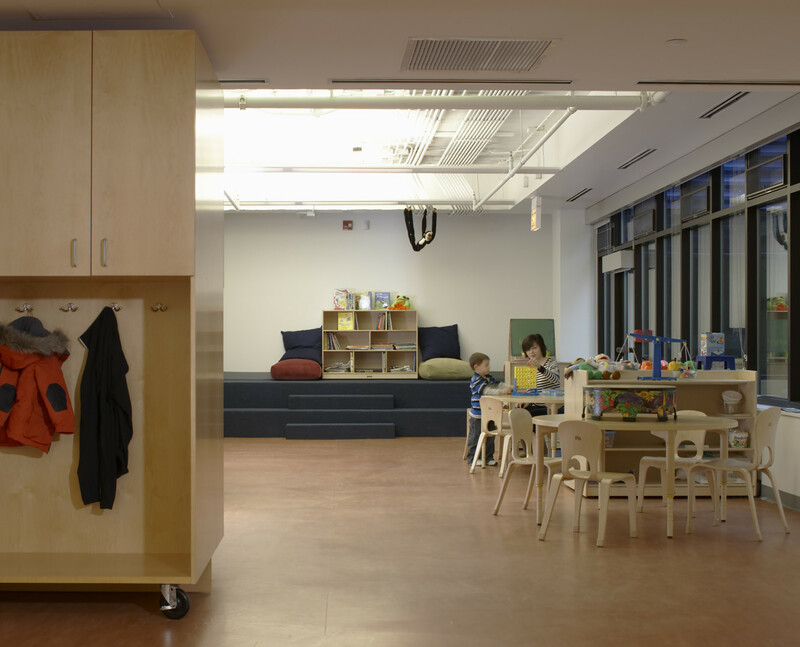 Christopher House is a 100 year old not-for-profit social service organization that provides childcare and family resources to low-income families in Chicago. 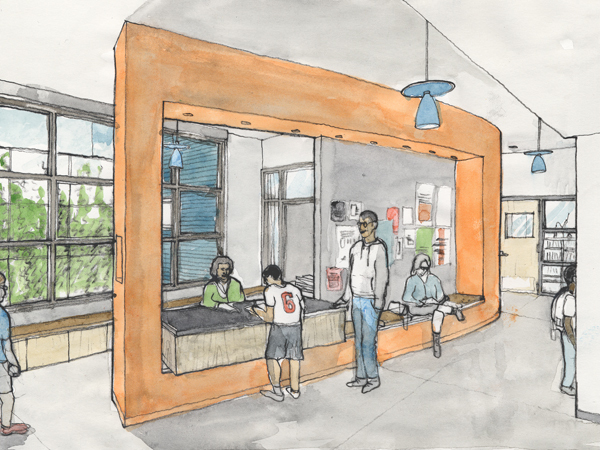 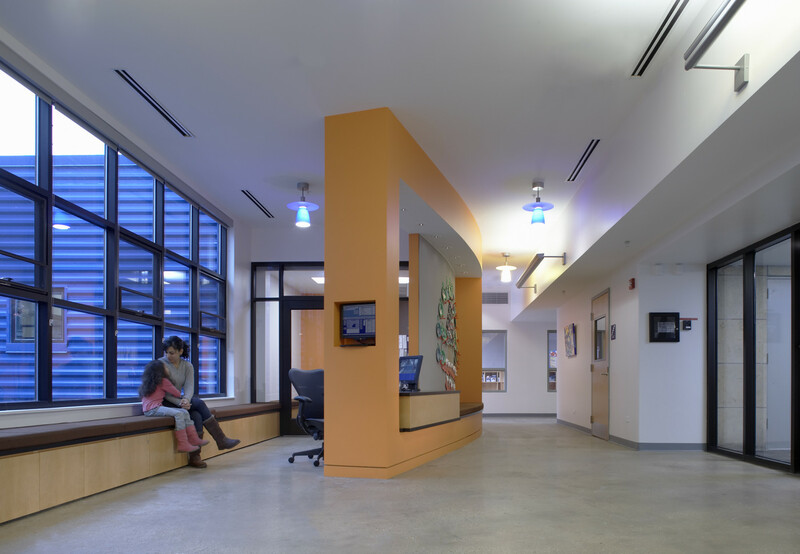 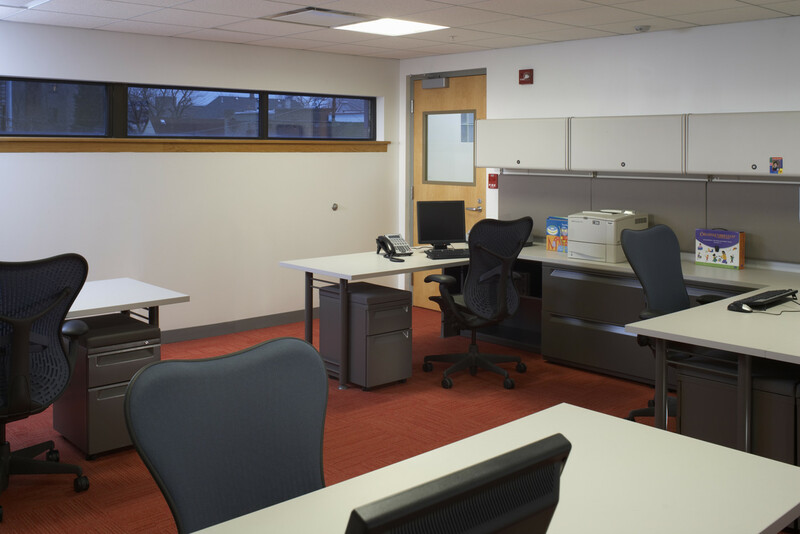 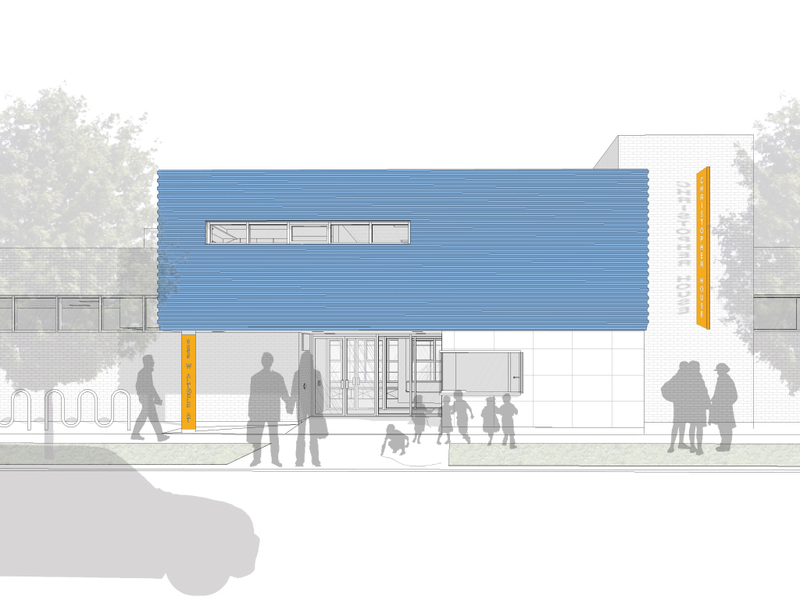 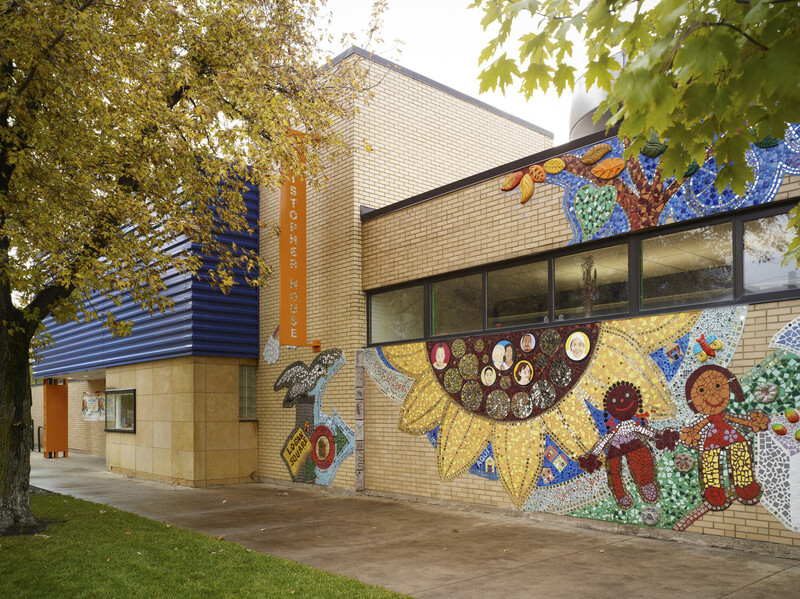 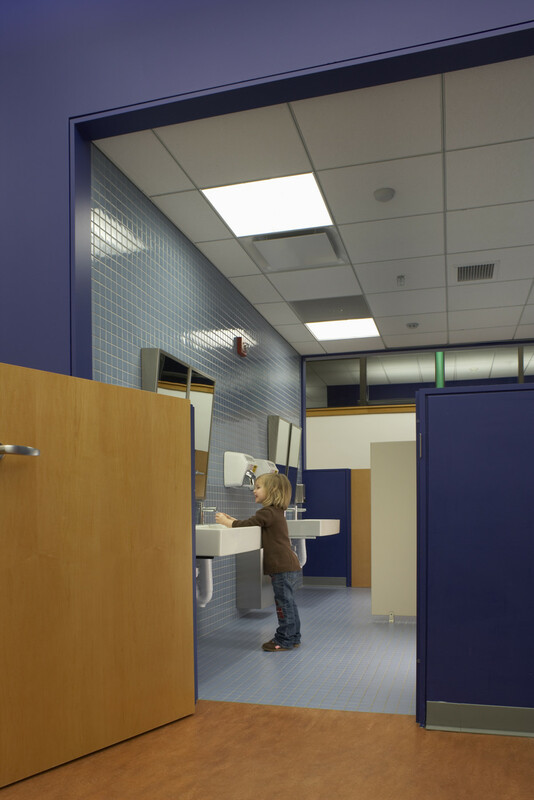 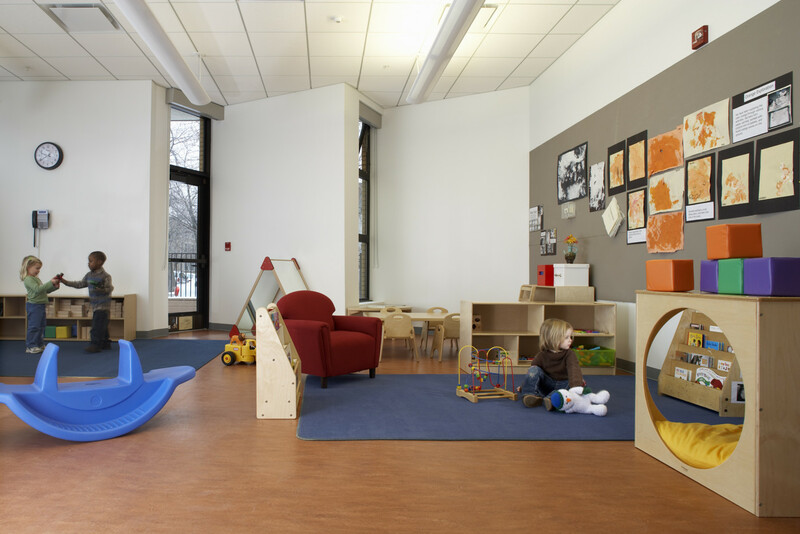 The project entailed the renovation and adaptive reuse of an existing Chicago Public Library Branch Building in the Logan Square neighborhood. 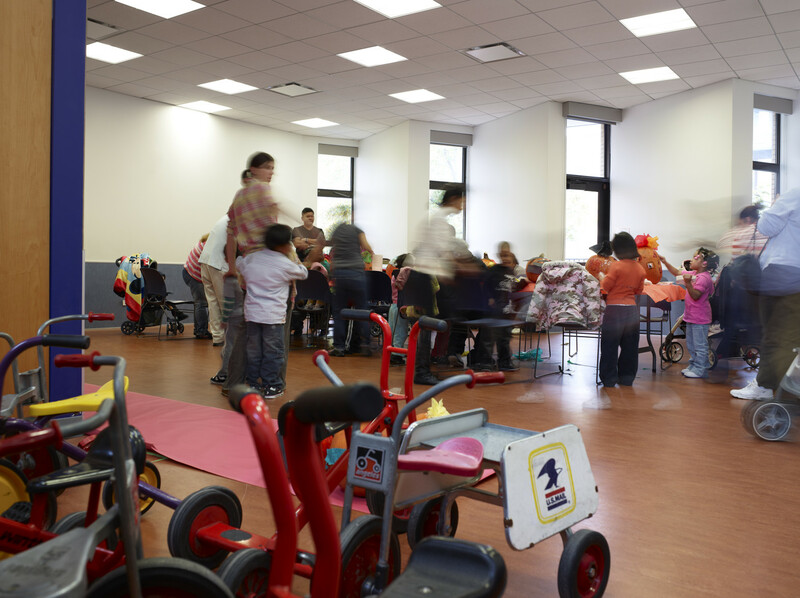 The program includes daycare and preschool for 116 children, food pantry, family resources, adult education, and offices for counselors and staff. 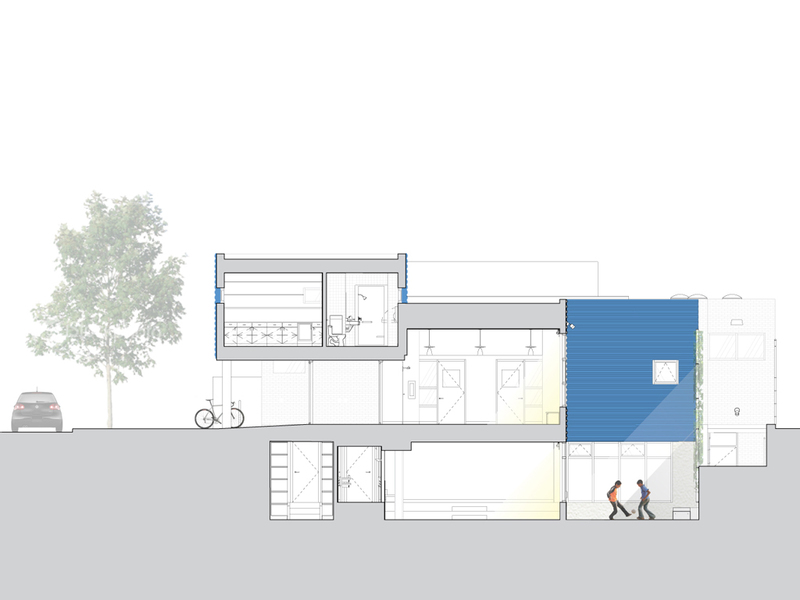 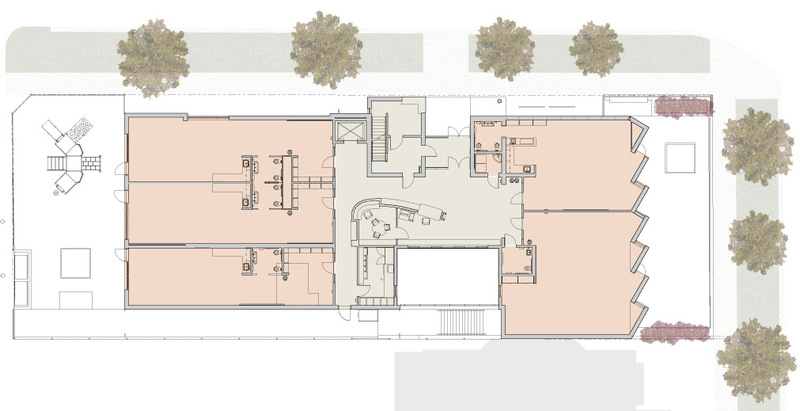 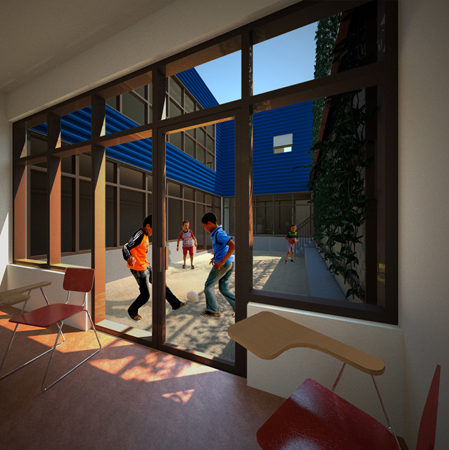 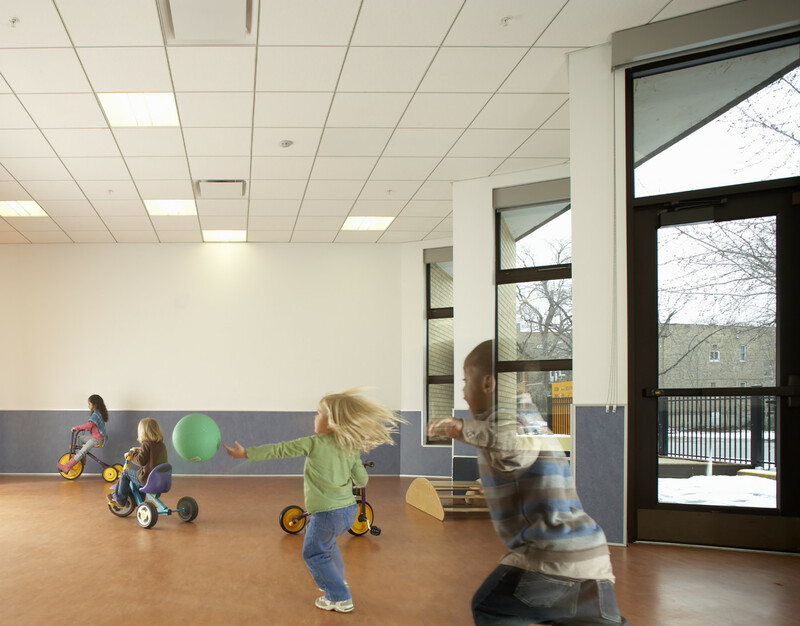 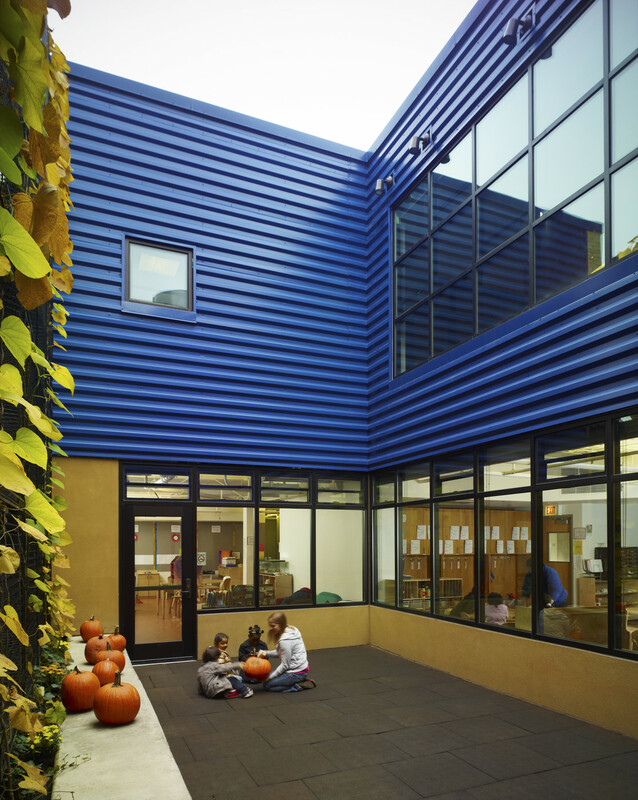 The 14,000 square foot project features a new courtyard, created by selective demolition, which provides light and exterior play space to lower level classrooms. 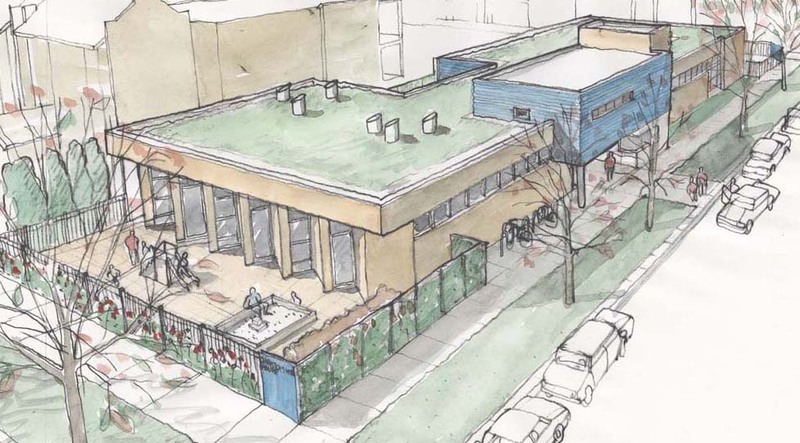 The project will be LEED Certified; sustainable strategies include – vegetated roof, day-light harvesting, high efficiency artificial lighting, recycled rubber playground paving, permeable paving, bicycle storage and showering facilities, and low VOC finishes.